Summer isn’t quite over! There was a beautiful blue sky over Kings Cross yesterday evening. 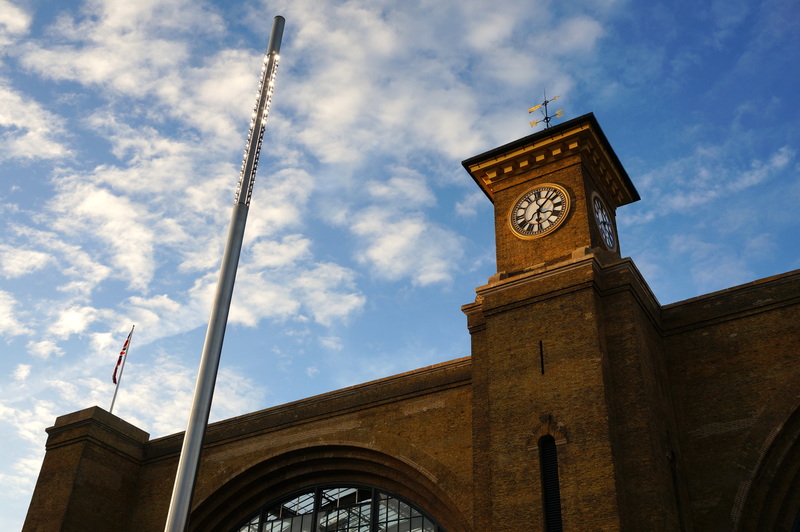 The tall sparkly thing is one of the new lights at the front of Kings Cross, part of the new Kings Cross Square. Beautiful photograph, you are right. Summer is not totally over. Great photo and post for SWF!Have a nice weekend. Hi! Nice capture. The building with blue sky is very beautiful. Thanks for sharing.